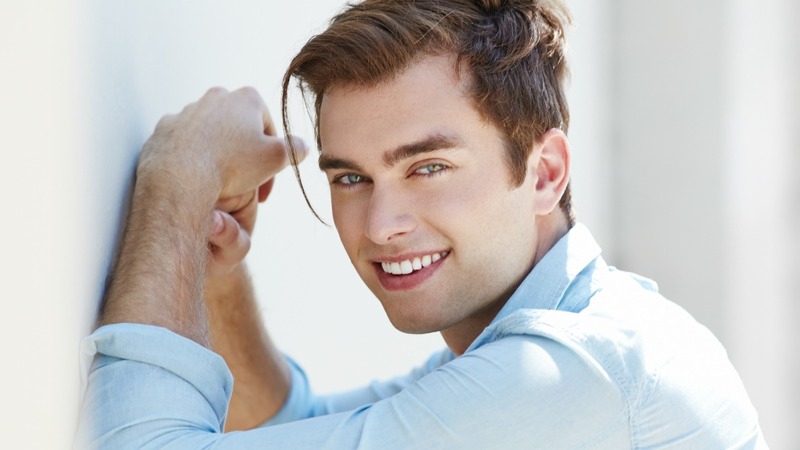 If you didn’t know the name Pierson Fodé before, you certainly did after watching CBS Daytime’s new promos. In the new spot dubbed “Not Safe For Daytime: Bold and Delicious,” Fodé strips off his shirt to reveal his fit physique. The video takes a comical turn when he douses himself with a bottle of water and then bites into a messy burger that drips all over his ripped abs and tight jeans. SheKnows got the inside scoop from Fodé in an email interview about his role on The Bold and the Beautiful and those hot new promos that have daytime fans excited about his presence on the show. It isn’t easy to come into a daytime role that has been played by multiple actors, but that’s exactly what Fodé did when he joined B&B as Thomas Forrester in July 2015. He made an immediate impact with fresh storylines, but admits that it was challenging to jump into the role. While the B&B cast embraced him with open arms, he also reveals that the whole cast is hilarious, but watch out for Darin Brooks because he is “the biggest prankster.” Even though the actors have fun on the set, the job is one Fodé takes very seriously. Fodé is also ready to see his character develop on different levels in the coming year without Thomas losing his rebel-without-a-cause attitude. “I’d like to see him in a new light; stepping into fatherhood and learning to deal with his feelings for women in general in a healthy way… but still being a bit of a rogue,” Fodé shares. That edginess in his portrayal is what helped garner his first nomination for a Daytime Emmy. It’s a moment he is truly relishing. No matter what happens at the Daytime Emmys on Sunday, Fodé has one big goal on his bucket list. “Climb to the top of Everest,” he says.